Krystal Nielson, the infamous villain from Arie Luyendyk Jr.'s The Bachelor season, does have regrets from her time on the show, believe it or not! 'The Bachelor' spoilers: Who's ex-boyfriend shows up to get his girl back from Arie Luyendyk Jr. and shakes his world?! The Bachelor spoilers give away one of the most shocking moments of Arie Luyendyk Jr.'s season that has yet to unfold -- an ex-boyfriend showing up and flipping the Bachelor's world upside down. 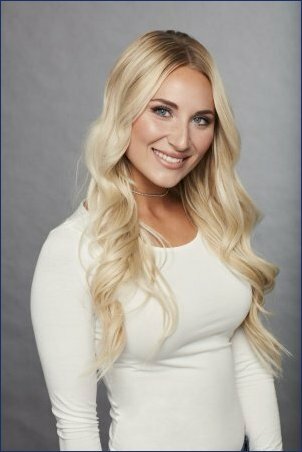 Chelsea Roy became one to watch out for during The Bachelor's latest episode in which she embarked on a romantic and flirty date with Arie Luyendyk Jr.
Maquel Cooper, Marikh Mathias and Ashley Luebke were sent packing during the latest episode of The Bachelor, and now Arie Luyendyk Jr. is explaining why. Krystal Nielson's temper tantrum on the group date in Fort Lauderdale definitely made The Bachelor star Arie Luyendyk Jr. take a few steps back in their relationship. The Bachelor star Arie Luyendyk Jr. sent Marikh Mathias, Maquel Cooper and Ashley Luebke packing during Monday night's Season 22 broadcast on ABC. The Bachelor spoilers reveal what viewers don't want to wait until March's finale to learn: Arie Luyendyk Jr.'s final pick, whether the couple is still together, and what happens from the next episode on. Maquel Cooper -- 10 things to know about the bachelorette competing for The Bachelor star Arie Luyendyk Jr.'s heart. 'The Bachelor' spoilers: Arie Luyendyk Jr.'s winning bachelorette, runner-up pick, and Final 4 -- Plus his current relationship status! The Bachelor spoilers for Arie Luyendyk's season are out -- and there are some shocking details viewers probably won't want to wait for.